To glorify God through our music, and in so doing, to proclaim His everlasting love and willingness to transform the hearts and lives of all people through the salvation He has made available through His Son, Jesus Christ. We believe that each member of the Psalms Journey has received Jesus Christ as Lord and Savior and has been called to serve “Him” through the singing of Southern Gospel Music. We commit to conduct our daily lives in a manner that would be pleasing unto the Lord and to guard our testimonies at all times. We commit to seek guidance of the Holy Spirit to lead and direct in all management decisions and appearances of Psalms Journey and its Ministries while participating in a concert venue or regular church service. Psalms Journey is a southern gospel quartet that was formed by a group of men that has each been individually called by the Lord to this type of ministry and is based out of the Fort Worth area. It has been said that they are different than most groups in the industries because of their friendliness before and after concerts with the audience or congregation and their personable personalities while presenting the gospel message. 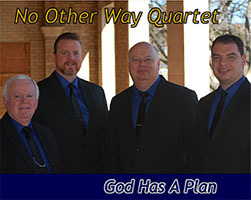 The quartet was formed in the summer of 2010 and went by the name “No Other Way Quartet” but recently changed the name to Psalms Journey because too many fans couldn’t remember the name or mispronounced it. Our goal is to not only be entertaining but more importantly, share the gospel of Jesus Christ through our music. We will always strive to produce a good quality sound that is enhanced by a personable and professional stage presence that will bring honor and glory to our Lord. Such a goal requires each member to have an undeniable call to the ministry and to be firmly committed to serving the Lord proclaiming His love. We thank God for allowing us to witness the salvation of many as He has moved during our concerts and services over the past five years and pray the Lord will continue to call hungry, hurting hearts to respond to Him through our music as we continue on the journey making harmony for the King. View our biographies by choosing a picture below. 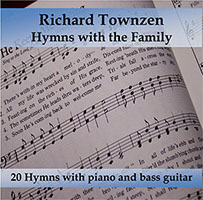 Robert Townzen sings Bass for the quartet, and is instantly recognizable as the youngest member of the group; but don’t underestimate this young man . . . with a gospel singing father as a role model, Robert has been around quartets all of his life, and instinctively knows the sounds and harmonies that are associated with only the best of Southern Gospel music. 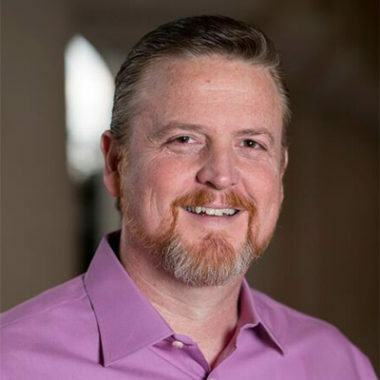 Growing up in a Christian home, Robert trusted Jesus Christ as his Lord and Savior at a very young age, and began listening and learning from the Christian influences that surrounded him. As a child, he enjoyed attending Southern Gospel concerts with his family, where he soon acquired an appreciation for the musical styles and sounds of such groups as The Gaither Vocal Band, Gold City, The Bishops and Brian Free & Assurance. 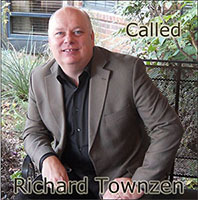 Their music fueled a strong desire in Robert to use his voice for God’s glory. At age 10, he began singing tenor with his father, and his sister, Elizabeth, at local churches. From here he began to sing at every opportunity God provided, not only singing solos, but also participating in duets, trios, and quartets, as well as church choirs and ensembles. Neither the group nor the venue mattered to Robert: he just wanted to sing for the Lord. As the years passed, he not only matured in age and experience, but in voice as well, as God transformed the sweet, pure tones of a tenor into the deep, smooth sounds of a bass. Robert started singing with the group just days after he and his beautiful wife Samantha’s wedding in September of 2012. 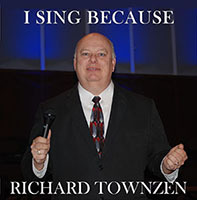 Richard Townzen; Baritone for Psalms Journey is the main emcee and spokesperson for the group. He also manages the quartet and shares responsibility for bookings and scheduling. Richard started singing for the Lord in his local church at the age of 16, just weeks after receiving Christ as his personal Savior. 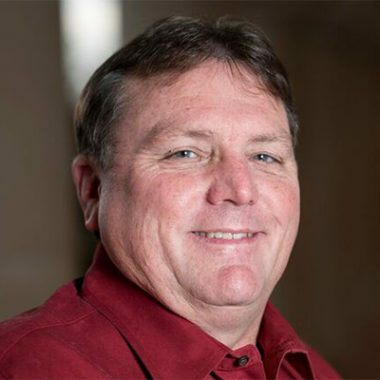 Following an invitation to attend a concert at the Will Rogers Auditorium in Fort Worth, Texas, called the Battle of Songs, he discovered his love for Southern Gospel music. 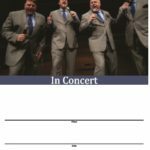 Inspired by such groups as The Kingsmen, The Singing Americans, The Blackwood Brothers, J. D. Sumner and The Stamps, The Inspirations, along with everyone’s favorite, The Cathedrals Quartet, he began attending the concerts on a regular basis. Through these concerts he began to sense the calling of God on his heart, and often made his way backstage to talk with quartet members. Conversations with such Gospel Music legends as Jim Hamill, Mike Holcomb, Glen Payne and George Younce were instrumental in helping Richard confirm his strong desire to glorify God with his voice. 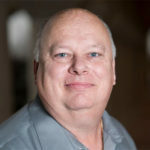 Further seeking God’s guidance, Richard attended the Norris Bible Baptist Institute in Fort Worth and went on to serve as the Minister of Music in a church for three years. At age 26, he started a 14 year journey travelling with The Gatemen Quartet, a journey that imparted invaluable knowledge and experience to him concerning the life changing attributes associated with the ministry, and with God’s call on his life. When not singing with the quartet, Richard is also actively involved in a successful solo ministry in which the Lord has blessed tremendously, transforming the hearts and lives of many, as decisions have been made to surrender to God’s will and follow after Christ in salvation or rededication. Kris Emmert has been our Lead Singer in March of 2012. When he starts to sing, the excitement that stems from his voice lets you know that he loves the Lord. Kris grew up in church, and was singing with his family at a very early age. When he was 12 years old, he invited Jesus Christ into his heart. A couple of years later, he felt God’s call on his life to sing for the Lord. It was then that he knew singing for Jesus would forever be a part of his life. Singing, as well as playing the piano and saxophone, became a regular part of his worship throughout his high school and college years. 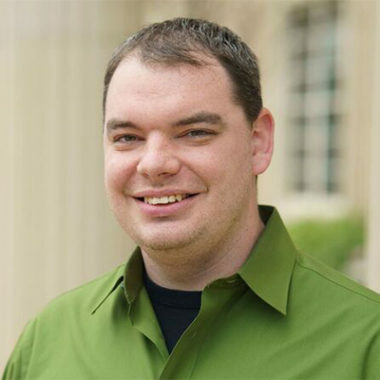 While attending college at Southern Nazarene University, he traveled with a group called Highest Praise and Chorale. Both of these groups ministered across Oklahoma, Texas, Louisiana and Arkansas at different churches and campgrounds. 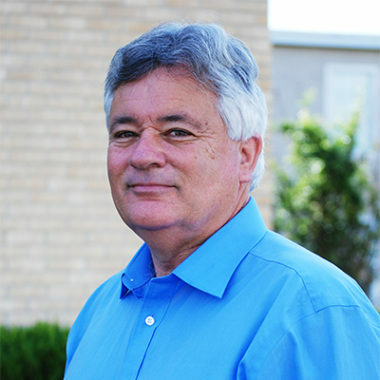 He has served in various areas of music ministries, including praise teams, and occasionally filling in as music director in several churches. Kris is also one of the founders of a quartet called the Spirit of David, where he sang first tenor. Kris has a great ear for picking out the harmonies that come along with Southern Gospel music, and now has the opportunity to share God’s love through the Psalms Journey Ministry. Dee Vaughn began singing in church when he was 10 years old, and, unlike Phil Sharp, Dee is still waiting for his voice to change!! Seriously, God has blessed Dee with a dynamic and powerful tenor voice that is literally one in a million. Audiences night after night are spellbound as he sings such favorites as “I Bowed on My Knees”, and “Oh, What a Saviour”. Yet Dee always maintains a refreshingly humble attitude, and gives God all the glory for the gift he has been given. Dee comes from a musical family and says his dad and uncle taught him to sing “by letter” – open your mouth and “let-er” fly! 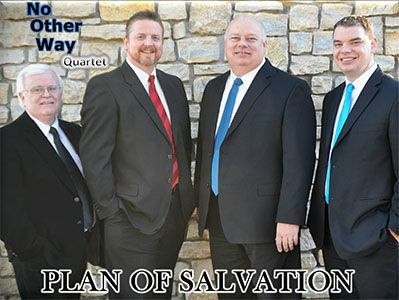 Dee joined his first quartet, the Psalms, as a young man, and traveled with them for about 6 years. It was during these years that he began taking voice lessons from Glenn Wilson, a Professor of Music at Cook County College. Dee credits Professor Wilson with helping him develop his raw talent into a more polished sound. He then sang with Southern Promise for 2 years, followed by a 4 year stint with the Gatemen. Dee joined the Whole Heart Quartet as an original member in 1999. He is married to LeeAnn, and they have one daughter, Krystal, who has completed her Masters degree in Musical Performance. Dale Richmond; the latest addition to Psalms Journey has been exceedingly welcomed by the audience as our Piano Player since he joined the quartet March of 2017. He has made a definite impact on our ministry helping us to be even more personable than ever before. Dale was saved at age 11 in his home church in Oakdale, Louisiana and has served as music director, youth director, and church musician in both Louisiana and Texas churches. Dale recognized at an early age that God blessed him with a talent for music and knew that he not only had an opportunity but a calling to use it for the Lord. There simply was no other option. He travelled for many years as manager and piano player for the Gatemen Quartet and saw what God could do with people who let Him use them. He has been blessed with a beautiful wife and four wonderful children and Dale is excited to see what God is going to do thru the ministry of the Psalms Journey Quartet. Choose your title from the list below to purchase. We hosted the No Other Way Quartet. Even though a gospel quartet is way out of the box for our church, our congregation loved them. The music was engaging and beautifully performed. It was not about showmanship but about worship. They did a great job of leading us to God. Everyone loves a free gift but God gave the greatest gift of all when He gave His only son Jesus to be born in a manger in Bethlehem. That little baby grew up and performed many great miracles such as turning water into wine, healing the sick, causing the lame to leap and the dumb to speak and on three different occasions, He raised the dead. That same Jesus that performed all of those great miracles also took upon Himself all the sins of the world when He died upon the cross of Calvary. 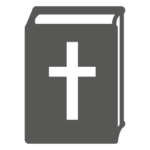 They placed His body in a tomb and on the third day He arose from the dead defeating Death and Hell. How can I have this everlasting life? It’s as easy as ABC. “A” Admit you are a sinner. “B” Believe on the Lord Jesus Christ. “C” Confess your sins and invite Him into your heart. come into my heart and be my personal Lord and Savior. Please let us know of your decision. If you just prayed this prayer, please let us know so we can rejoice with you and send you more information that might be helpful for you and your new life with Christ. 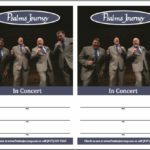 Keep up to date with Psalms Journey Quartet’s concert dates, event information and Good News. Sign up for our newsletter with the form below.